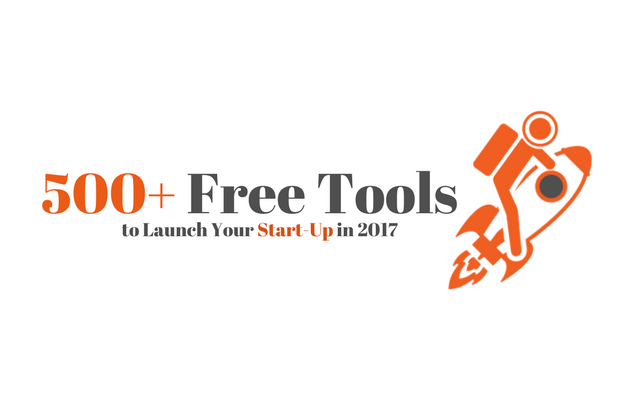 Now a huge number of excellent free tools are available. But using a free or shareware tool, you will need more time to achieve your goal, because such a tool does not fully meet your needs. On the other hand, at the beginning of the journey, it is important to minimize costs and closely monitor your paid subscriptions. At the end of the month, they can inconspicuously turn into the huge overhead. So, we found the Internet free and shareware tools to grow your business. When they give you the desired result, you can subscribe to a paid subscription. The Name App – So, you came up with a brilliant idea and even a unique name for it. With the help of this service, you can check the availability of free domains and usernames on the main Internet sites. Naminum is the leading free name generator for startups, companies, and websites. Short Domain Search – A constantly updated list of compact and free domain names consisting of one word. Wordoid – A handy resource where you can pick up a short and memorable name for your product, company or domain. A great source of unusual ideas for memorable domain names. Hipster Business – Dude, this domain name is just for you. Impossibility is a super fast domain name generator. Definitely the best search engine for domain names! Lean Domain Search – With Lean Domain Search, it only takes a couple of seconds to find the right domain name. Dominr – Quick search for an excellent domain name. Logaster is a fast, simple and inexpensive service for creating logos and corporate style elements. Logo of a small size can be downloaded for free. WIX – Create a free website with Wix.com. To work in the Website Designer from Wix, you do not need to be able to code. Choose a design, set individual preferences, and your own website is ready! Weebly – With Weebly to create a high-quality website, blog or online store is easy! More than 40 million people have implemented their ideas with Weebly. WordPress.org is a handy web-based program for creating websites, blogs, and applications. Moreover, WordPress is a free (or rather, invaluable!) Tool. Tumblr – Publish anything (and from anywhere! ), Customize, read other users who share your interests. Create your blog on Tumblr right now. Moonfruit – With the help of the designer of websites from Moonfruit you can create a website or an online store absolutely free of charge. No coding skills are required, but hosting is already available. Yola – Entrust creating your website to our free site builder. We offer free hosting and a free web address. Google, Yahoo, and Bing can learn about your business today! Doodlekit – This free website builder is perfect for startups and small businesses. Built-in search engine optimization tools. Ability to create your own templates. No coding. Zoho Sites – With Zoho Sites you can create a free website for any business or event. Each website is accompanied by a free blog, email address and unlimited web hosting. Squarespace is a universal solution for those who want to create a quality website. Domains, trade on the Internet, hosting, galleries, and analytics. Jimdo – With a website builder from Jimdo, creating a professional website, online store or blog is a matter of a few minutes. Choose one of the many editable templates – and go! UCraft is a free website builder for companies, marketers, and designers. Choose a template, add content, connect the domain for free. Done! Webnode – Completely free to create your own website for unlimited use. With Webnode, it’s a matter of a couple of minutes! Zpecommerce – Create a free website for online trading in a couple of minutes.10000 products and sections. A free website for Internet commerce. Google Sites – Thinking about creating your own website? Google Sites is a free and easy-to-use platform that allows you to create and share web pages. Site Builder – Create your website with SiteBuilder in just a few minutes! A stunning selection of 1000 templates. QuickPages – Create, publish and analyze landing pages. For this, you do not need any technical knowledge. Free service for creating high-conversion pages. PixPa is another small business website builder that enables small creative businesses to create their website, publish blogs and start an e-commerce store easily without any coding knowledge. And if you think about designing websites for others, then you will appreciate it, as the PixPa the client proofing tool which allows your clients to access your site design drafts and indicate which one they like the most. Enloop offers a free application that will write a business plan for you and evaluate your chances of success. StratPad – The world’s best business planning software, award-winning. Run your project with StratPad! Law Depot is a platform for the independent drafting of legal documents. Customize templates of legal documents (wills, marriage contracts, etc.). Try a free trial now. Rocket Lawyer – Create, store and sign contracts and contracts online, find a lawyer and use inexpensive legal services. Lead your legal affairs online. BPlans offers free samples and templates of business plans, resources for business planning, useful articles, financial calculators, industry reports and much more! SME Toolkit – Learn how to start your business, write a business plan, take out a loan, keep accounts of small businesses and much more. Free ideas for small businesses. Plan Bold – One plan for one person is good. But the joint discussion of the plan on one online platform is even better! Marketing Donut – Marketing resources and tools for small businesses. Materials for advertising promotion, exhibitions, market research, online media, PR, etc. Free Mind is a handy application for planning your business. Marketing Plan Now – Services and tools for compiling marketing plans for commercial and non-profit organizations. Learn new, publish and search online marketing plans. MPlans – Are you working on a marketing plan for your business? Take advantage of practical ideas and models from dozens of successful marketing plans or make your own plan. Desjardins Business Tools offers solutions for conducting and improving your business projects. Invoicetome – Create and send professionally composed PDF invoices online. Free and simple invoice templates for your business. Automatically Calculates taxes and totals. Free Invoice Generator – Create invoices for free! Free Invoice Generator saves all your settings not on their servers, but on the cloud. Slimvoice – Now you do not need to compose emails and attach invoices manually. Forget about piling up files on your computer! Slimvoice immediately sends PDF invoices to your customers. Mybrightbook – This service promises to be the best free account management platform for freelancers, contractors, and small businesses. Pandle – With our free and easy-to-use program, small entrepreneurs will give odds to professional accountants. Pandle is a “cloud” accounting program that meets the real needs of entrepreneurs. BeanBalance offers a free accounting program for small businesses and contractors from the UK. Quickfile – A platform for accounting for British companies. QuickFile is an easy-to-use program that works in the cloud and is free for companies with a few accounts. WaveApps – More than 2 million small businesses and freelancers use Wave to send invoices and maintain accounting records. Free Invoice Creator – Create invoices and templates for them for free! Save, print and download invoices in PDF format and get paid for it. Professionally drawn up invoices for any business. Invoice Generator – Create correct invoices right in your browser without registering. Mint – Manage your money, pay bills and track your credit history. Mint is a rational attitude to money. Manager.io – Looking for a program for accounting? The manager is a free accounting program for small businesses. Invoice Home – Now you can create and download impeccable invoices in PDF in seconds! Use a huge gallery of templates for invoices, send invoices by e-mail, get payment on the card. Easel.ly is a simple web-based tool that allows you to create graphic materials (infographics, posters) and share them with others. Experience in design is not required! Infogr.am – Create, publish and share data in the form of visual images, infographics, and online graphics. Logomak.com – Choose the color, font for your logo in just a few minutes. Placeit – Insert a screenshot of your application in the layouts for iPhone and iPad. This is much faster than using the PSD layout. Fotor is a free online tool for creating and editing graphic images that meet all your requirements! Add filters, frames, text, stickers and more. Kraken – Optimize images in two clicks with a rich API and web interface. Compressor – An effective online tool that significantly reduces the size of images and photos with virtually no loss of quality. Freebbble offers more than 1000 free design ideas from its users. Dribble – A service that every designer should know about. Pixel Buddha offers web designers and developers exclusive, high-quality resources on a free and paid basis. Premium Pixels – A collection of free designer materials from British web designer Orman Clark. Fribble – Free collection of PSD files of other materials from Dribbblers, supervised by Gilbert Pellegrom. Freebiesbug is a blog about web design that offers free high-quality PSD files, HTML website templates, fonts and many other interesting materials. 365PSD – Download free vectors and PSD files every day! DBFreebies – Download the best free design materials from Dribbble and Behance. Newest PSD files for UI, layouts, icons, fonts, templates, and backgrounds. MarvelApp – Use sketches, layouts, and designs to create applications for the iPhone, iOS, Android and Apple Watch. Techandall – Free graphics for personal and commercial use. Freepik – More than a million free vectors, PSD files, photos, and free icons. Everything you need to work on your projects. Pixeden offers free web resources and templates for graphic design. Explore! UISpace – High-quality free PSD and AI files, free fonts, layouts, latest icon collections, and other materials in vector format. Adobe Experience Design – Develop websites and mobile applications with Adobe Experience Design. Draw.io is a free online program for creating flowcharts, process diagrams, organizational charts, UML diagrams, ER diagrams, and network diagrams. Canva – With this service, everyone can design. Create images for web space or printing: graphics for a blog, presentations, covers for Facebook, flyers, posters and more! Pixlr – Free online image editor that allows you to create, adjust and process images using filters directly in your browser. TinyJpg – Increase the speed of your website, keeping the bandwidth. TinyJPG is the best automatic image optimizer in JPEG format, which compresses them by 40-60%! ImageOptim reduces image loading time and removes “bloated” meta-data. Saves space on the disc and preserves the bandwidth, compressing images without losing quality. Evernote Skitch – Skitch has all the necessary tools to turn ideas into visual images, share feedback and work together with friends and colleagues. Recitethis – Create beautiful quotes in the form of images. Upload results to your computer, share them on social networks. Memegenerator – An incredibly fast memo generator, adapted for mobile devices. Add inscriptions to the finished memes or upload your own images and create unique memes. WebPage FX – Hex and RGB color selector. Get UI Colors – With UI Colors, picking the perfect UI colors for your website or project is easy. Coleoure – Excellent color selector. Colllor – The right approach to the color palette. Create balanced color solutions. Generate shades and tones. Material Palette – Choose your favorite colors, create and download your palettes. Flat UI Color Picker – Ideal colors for flat images. Flat UI Colors – Wide range of colors for flat images. Coolors – Create perfect color combinations for your images. Bjango – Useful resources on the theme of the design. Couleurs App is a simple application for finding and adjusting colors on your screen. Material UI – UI components for material design from Google. Brandcolors – Official color codes for the biggest brands in the world. Paletton – A tool for creating harmonious color combinations. 0to255 is a simple tool where web designers can find variations of any color. Colors when hovering over the cursor, borders, gradients and much more. Colour Lovers is a creative community in which people from all over the world create colors, palettes, and patterns and share them with each other. Color Wheel – Create color schemes using a color wheel or upload thousands of color combinations from the Kuler community. Color Meaning, Symbolism, And Psychology: What Do Different Colors Mean Are you looking to decorate your space? Do you wonder where to start? Understanding the colors on the color wheel and what they mean is the first step to decorating your space satisfactorily. Pixels – Free stock photos that you can use absolutely anywhere. Free for commercial use. An indication of authorship is not required. All the free Stock is a carefully selected collection of free stock images, audio, and video materials. All the best free stock images and videos in one place. UnSplash – Free high-resolution photos. Do with them whatever you want! Splash Base – A huge selection of free photos and videos in high definition. Materials from platforms such as travel coffee book, startup stock photos, little visuals, grat isography. Startup Stock Photos – Take free materials and create! Jay Mantri – Free images (license CC0). Moveast – Photographs of the Portuguese who travels around the world, who provides all their photos for free use. Travel Coffee Book – Great moments from travel. All photos are free (license cc0), that is you can do with them anything you like. Designer Spics – Free photos for personal and commercial use on websites, in presentations, on brochures/packaging/labels. Death to the Stock Photo – A huge selection of photos and inspirational ideas for creative people. Monthly distribution of free photos to mail. Foodies Feed – More than 1000 beautiful, realistic and free images of food in high resolution. Mazwai – Free videos in HD. Superfamous – Large selection of free images. Pixabay – A site with hundreds of thousands of free photos and clipart for any purpose. Magdeleine – Free photo of the day in the blog Magdeleine.co, which offers high-quality stock images that inspire you to new ideas. Little Visuals – Subscribe to the weekly newsletter of 7 images in high resolution and use them as your heart desires. Splitshire – Free stock photos and photos for your commercial projects. Without specifying the copyright. Free Photobank – A site with free stock photos. Download images up to 2048 pixels with a Creative Commons license. Free Range Stock – Free stock images and textures in HD, with an income distribution system from the publication of advertisements. Free Images – More than 16,000 free digital images. Paid and free stock photos. RGB Stock – Website with over 100,000 free stock images online. Dreamstime – Choose from over 51 million stock photos, illustrations, vectors and videos from the largest database of free stock images. Image Free – Free images. Stock Vault – More than 90,000 free stock photos, textures, and graphics for your next project. Without attribution. Public Domain Pictures – A collection of photos in the public domain for personal and commercial use. Free Digital Photos – Free Images, high-quality stock photos, and illustrations. Ideal for your online and offline projects. All small size images are available for free. ISO Republic – Stock photos for creative people. StokPic – Free stock photos in HD for commercial use. Kaboompics – Stunning free stock images for personal purposes and business. We Function – In Dealotto we create a database of the best materials for designers. PJRVS – Paul Jarvis helps people bring a creative atmosphere to the area of trade. Lock and Stock Photos – Free stock photos. Use them for any purpose, anywhere and anytime! RaumRot – Excellent collection of images for creative people. Free non-staged images for your project. Bucketlistly – A collection of more than 4,000 free pictures on travel. Get Rafe – Free high-quality and natural photos. Gratisography – Free stock photos in HD for personal and commercial projects. Fontello – Fonts generator for icons. Flat Icon – Search engine with more than 16 000 glyph icons in vector. Font Awesome – A set of tools for CSS. Glyphsearch – A collection of icons from a variety of catalogs. MakeAppIcon – Create icons for applications of any size in one click. Endless Icons – Free flat icons and other graphic materials. Iconsflow – A unique editor that will help you create your own icons of different sizes and styles. Ico Moon – 4 000+ free vector icons, generator icons. The Noun Project – Thousands of glyph icons from different authors. Perfect Icons – Tool for creating icons. Material Design Icons – 750 free glyph icons from Google. Icon Finder – A separate section with free icons. Loggly – The most popular cloud service for managing application logs. Analysis of applications. Firebase – Firebase offers tools and infrastructure for creating applications and successful business development. New Relic – A platform that allows developers to detect and solve application performance problems in real time. Segment is the choice of thousands of companies that trust them with data about their customers. Collect user data with one API and send them to thousands of tools. Import.io – The leading platform for extracting web data for companies and individuals. Let’s Encrypt a center that provides free certificates and is created by a non-profit corporation Internet Security Research Group. Cloudflare – We in Cloudflare make the Internet work as it should. We offer protection systems CDN, DNS, DDoS, we identify problems and directions for improving your site. SSL Server Test – A complete and free SSL test for public web servers. HSTS preload list – Make a list of domains for pre-loading in Chrome (HTTP Strict Transport Security (HSTS)). Secure Site Check – Monitoring of site security and removal of malicious programs. Pingometer – Track uptime, downtime, and website performance. Round-the-clock monitoring. Uptime Robot – A service that monitors websites every 5 minutes. Eager – Free upgrade your website with plug-ins installed in a couple of seconds. Dotcom Tools – Measure the set of performance parameters for your website: speed, web server performance, mail server test, DNS route tracing, FTP servers. Snowy Evening – Tracking the errors of your website. Web Page Test – Perform a free test of the speed of the website for users from different parts of the world using real browsers with user-defined connection speeds. Detailed recommendations for improving the operation of the website. Load Impact – Check the load on your website, application or API with 1.2 million concurrent users. Nibbler – A free tool for testing your website and identifying areas to improve its work. Check availability, SEO, social networks, compliance and so on. GitHub – Hosting for online projects using Git. Includes a browser with source code, serial editing, wikis, and tickets. Free for open source. BitBucket – Collective code writing with inline comments and inclusion requests. Manage and share your Git repositories by creating programs in the team. Responsinator – See how your website looks on different devices. Logmein – Unlimited remote access with LogMeIn. Now you can access the desktop computer and laptop on the network and work from anywhere in the world. WooCommerce – A platform with extensive customization capabilities for the development of your online business. Magento is a free, publicly available platform for online trading that provides small business with software and a framework for successful e-commerce. Google Merchant Center – Using Merchant Tools from Google Merchant Center, you can download data about your products and tell your products to millions of customers. Google Trusted Stores – Becoming one of the trusted stores by Google, you can increase your conversion rates, gain the trust of customers and offer customers protection of the buyer. M2EPro – Control the goods, implement different pricing strategies and increase sales on eBay, Amazon, and Rakuten. OpenCart – Everything you need to start, scale and run a business. OS Commerce – We offer you free tools to create a full-fledged online store with own hosting that will sell products and services to customers all over the world. CubeCart is an efficient, free online trading solution that allows thousands of sellers from around the world to sell digital and physical goods online. Prestashop – Create an online store for free. Web Scraper – A free tool for retrieving data from dynamic web pages. Stripe offers effective and flexible tools for online trading. At the moment, our annual turnover is billions of dollars. PayPal is a safe way to send and receive payments for goods and services, transfer money to friends and family members. LastPass – Password Manager, automatic form filling, random password generation and reliable online wallet. Chrome Password Manager – With this tool, Chrome can remember your passwords from different sites. Firefox Passwords – Firefox offers a Password Manager that can save your passwords from different web sites. Enpass – The world’s best password manager for iOS, Android, Windows, Linux, and Mac. Enpass saves and encrypts offline data and creates strong passwords. Dashlane is rightly considered the best password manager. Use our free option of auto-complete forms. 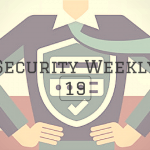 Keep your checks, payment types, passwords and personalize your online wallet. Box allows you to improve the management of your business content, from simple file sharing to creating your own applications. Google Drive – Keeping your files in the cloud and backing up your photos, videos, files, and other materials. Dropbox, your photos, documents, and videos are in safe hands. Onedrive – Microsoft OneDrive allows you to access files from anywhere, from any device. Drp.io – Free, fast, private and easy hosting for images and files. Hello Sign – Sign confidently! HelloSign offers easy-to-use electronic signatures that have full legal force. DigiSigner – Sign documents online using an electronic signature. Obtain signatures from others. GoNitro – Sign, approve and manage documents online and on your computer. Wetransfer offers an easy way to send files to anywhere in the world. Seshi.io – With Seshi, you can share files with anyone and anywhere. WeSendIt is the safest and easiest way to send large and small files. Without registering. Free sending large files up to 20 GB to any email address. Hightail greatly simplifies cooperation in the framework of creative projects. Reliable forwarding and sharing of large files. Getting feedback in one place. Screen O Matic – Millions of users trust Screencast-O-Matic to organize and share video from the screen. Jing – An easy way to start sharing images and short videos on your computer screen. Mailinator – Free web addresses created when messages are received. Without registering. Messages are deleted after a few hours. Maildrop offers free one-time email addresses for filling out web forms, registering in applications and other cases when you do not want to disclose your personal information. Malidu – Use any address name@maildu.de when you want to register anywhere or just test the service without disclosing your email address. 10 Minute Mail – Free and reliable temporary email addresses will allow you to avoid spam. Skype – Stay in touch with your loved ones for free. International calls, free online calls and the Skype for a Business option for stationary computers and mobile devices. Slack – With Slack, all communication is carried out within the same platform. Exchange of messages in real time, archiving and searching for modern commands. Hipchat is a group chat for teams and businesses. Free participation for an unlimited number of users, unlimited group chats, video chat and sharing the screen. Yammer provides access to information and people in your organization, the existence of which you never suspected. Trello – Infinitely flexible. Incredibly easy to use. Excellent mobile applications. And all this is free. Trello tracks all processes, from the general situation to small details. Evernote – Collect, develop and distribute ideas through services for stationary and mobile devices. With Evernote, your thoughts are always with you and always in perfect order. Skitch – Express any idea with a few words and notes. Google Docs will breathe life into your documents. Effective tools for editing and formatting texts and paragraphs. ToDo.vu – Our goal is to help teams manage tasks that concern customers and internal projects. Easynote.io – Easynote is the best task manager and tool for effective work in a team! The ideal and completely free solution for project management. MeisterTask is an intuitive online tool for coordinating task management. Register, invite your team members and start working! Paintask – Become an ideal task manager with Paintask (includes kanban board). Todo Cloud – Work alone or as a team. Get access to your tasks, projects, and lists on all devices. Todoist is the best online application for managing tasks and working with to-do lists. TrackingTime – Each section of the application TrackingTime PRO provides effective analytical tools with which you will find the answer to any question and make the only correct decision. Wrike is an online project management software that provides full transparency of your tasks and allows you to easily manage them. Wunderlist will help you deal with cases in a matter of minutes, whether it’s vacation planning, shopping list creation or managing multiple work projects. Yanado – Managing tasks in Gmail. Swipe allows you to quickly create and distribute professional and interactive online presentations on any device. Centrallo – A simple organizational tool that will not let you fall behind the schedule. SamePage – With our tools for coordinating teamwork and messaging, your team will be able to do even more! Be in touch with colleagues, work in real time, share files. Producteev is the world’s best program for managing tasks, which helped hundreds of thousands of teams to cope with work by one hundred percent. This is more than just keeping a to-do list online. Google Keep – Write down your thoughts. Take notes, make lists, add photos and audio recordings. Harvest – A reliable online tool for time tracking, rapid invoicing and reporting. Simplify the task of creating time sheets for employees and billing. Toggl – The best time accounting system for small businesses. A simple online timer with a calculator for working hours. Compatible with iOS and Android. Time Doctor – A program for recording and scheduling time with screenshots that will increase your productivity. Worksnaps – Reliable time accounting service for remote teamwork. Use of screenshots as evidence of the work performed. Hubstaff – Time Manager with screenshots, time sheets, monitoring the use of the Internet and applications. Calendly – Looking for time for a meeting? Forget reminders on your phone or in an email. Plan meetings with Calendly – and you will definitely find a time that suits everyone! ActiTime – A simple, yet effective program for recording work time for any business. ActiTIME is the easiest way to record and manage time. Get Time Flow – Schedule time from any device. Create, submit in the form of visual images and download hourly reports for each client, user, etc. My Hours is a time accounting service, without which you will not be able to imagine your life soon. Organize your working time and team time. Set up accounts for customers, develop a business. T Sheets – A program for recording employees’ working hours with GPS. With TSheets, you can forget about the complexities of compiling billing statements, creating reports and billing. Free and unlimited help. Account Sight – Use AccountSight to track your account receipts and monitor the flow of funds. Creation of multifunctional reports using a set of simple tools. IFTTT helps you do more using your favorite services. Combine Amazon Alexa, Facebook, Twitter, Instagram, Fitbit, Slack, Skype and many other platforms. BIP.io – Rapid development of workflows with the familiar “cloud” tools. Programming skills are not required. Zapier automates tasks in different web applications. Flow by Microsoft – Automate repetitive tasks by integrating your favorite applications with Microsoft Flow. Lytespark – How to make meetings faster and more convenient? Free video conferences from LyteSpark perfectly meet your requirements and do not require downloading. GotoMeeting – The need to work can arise anytime and anywhere. With the program for video streaming from GoToMeeting to work in real time, it’s much easier! Google Hangouts will quicken your conversations with photos, emoji, and even group video calls. And it’s all free! You can communicate with stationary computers, as well as Android and Apple devices. Free Conference Call – Leading service for providing conference services with a full range of useful tools. JoinMe – Free screen sharing, online meetings, and teamwork. Neatly – Collect all business data, analysis data, accounting accounts and social networks in one place and manage them in real time. Cyfe is an online program that helps companies move their entire business metrics to the same platform. Dasheroo – Monitor key performance metrics, web analytics, marketing data and sales data on a single toolbar. Baremetrics – Just one click – and you will receive hundreds of useful metrics and business recommendations. Clearly Inventory – A simple online service for managing inventory for small businesses and organizations. Efficiency, the possibility of collective access. Skyware Inventory – Online inventory software from Open Sky Software, the manufacturer of custom software for managing inventory. The Canvas – Stockpile is a free online inventory management software for small and medium businesses. Freshsales is a complete program for managing customer interactions, developed for sales teams. Lead management. Business contacts management. Capsule CRM – An online program for managing customer interactions for individuals, small businesses and sales teams who need a simple, efficient and affordable tool. Manage contacts and their history. Drift is a messaging application that helps companies interact with customers and site visitors in real time from anywhere in the world. Intercom Observe will tell you about who your customers are and how they use your application. Zoho CRM – Comprehensive business management using a set of online productivity tools and Saas applications from Zoho. Fresh Desk – A customer support service that allows you to work with customers via email, phone, Twitter and your company’s Facebook page. Bettersalez – A simple online tool for tracking sales, designed specifically for freelancers and consultants. Bitrix24 is a free (for small business) platform for social enterprises. This is a common workspace, which addresses many aspects of daily processes and tasks. HubSpot CRM – Plan, track and sell with the Hubspot customer relationship management system. Highrise CRM – With Highrise to do business – it’s a pleasure! Share tasks, notes, transactions, e-mails and much more, using our customer management software for small businesses. Basecamp is the best online tool for project management and teamwork coordination. Apptivo – Develop a business with free programs for managing customer interaction, project management, account management and time management. Freshchat offers you live to chat for quick interaction with visitors to your website and their conversion to customers. My Live Chat – Absolutely free live chat. Live Chat – Live chat and support for business. More than 17,000 companies from 140 countries use LiveChat. Free to Book – Easy to use booking system for your hotel, cottage, hostel or guest house. Eventbrite unites people with similar interests. Find events of interest to you or create your own event with the help of tools for selling tickets online. Meetup – With Meetups, you can devote more time to what’s really important to you. You can create your own group and find people who live near you and share your interests. Typeform – Create beautiful, interesting and interactive online forms, surveys, questionnaires, landing pages and much more with the help of Typeform. Wufoo – HTML-designer will help you create feedback forms, online polls and registration forms for participation in various events. Tally – Create polls in minutes. 123 Contact Form – Create feedback forms or any other web forms using the multifunctional HTML form designer for free. To work with this tool, you do not need any special skills. Formsite – Free commercial services for creating HTML forms based on databases. For this, you need only a web browser! Ability to download and selectively send results via email. Jotform – If you need online forms for generating leads, distributing surveys, collecting payments and other purposes, JotForm is just what you need. Cognito Forms – Free Form Designer helps you create professional forms for your website. Create feedback forms, registration forms, order forms, surveys and much more! Doodle greatly simplifies the process of planning events, events, meetings, etc. Survey Monkey– Create and publish online polls in minutes, view the results in the form of graphical images in real time. Google Analytics allows you to measure the economic impact of advertising, as well as monitor the effectiveness of sites and applications. Piwik is the leading publicly available analytical platform that provides much more than just informative analytical data. Open Web Analytics is a publicly available analytics program that allows you to track and analyze how people use your websites and applications. Clicky – Track, analyze and respond to the traffic of your blog or website in real time. Similar Web – With the help of the latest tool from SimilarWeb.com, you can find out the sources of traffic of any website and its marketing strategies. SEM Rush is an effective and versatile set of tools for competitive intelligence in the field of online marketing, from SEO and PPC to social networks and video advertising. Stat Counter – A free but reliable invisible web tracker, a visit counter with high configuration capabilities and detailed web statistics in real time. Applyzer provides global ratings for iOS, tvOS, Mac and Google Play applications for each country and category. Hourly ratings, chronological data, and charts. Heap Analytics – Automate boring aspects of working with user analytics. No more actions by hand! Hotjar – Learn how visitors use your website, get feedback from users and convert visitors to customers. Crazy Egg – With the help of a heated card of clicks and a scrolling card from Crazy Egg, you will learn how visitors spend time on your website to increase the conversion based on this information. iWeb Track – Web analytics, tracking visitor behavior and visiting counter for your website. YouTube Analytics – Check the effectiveness of your channel and videos with YouTube Analytics, an interactive reporting system from YouTube. Facebook Insights is an effective tool that will show you how users interact with your page and posts. Twitter Analytics – Measure and increase the reach of your Twitter profile. Optimizely – Try the best experimental platform in the world. Peek – Find out what your users think. Boomerang will add to your Gmail-mail options such as scheduled sending and reminders. Email Hunter – Hunter is the easiest way to find professional email addresses. Specify a domain name and get a list of e-mail addresses related to it. 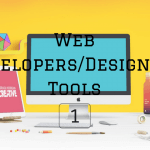 Wappalyzer defines the technologies used on websites. If you are a web developer or just interested in web-based programs, be sure to install this application! If no reply – A strikingly simple tool for automatically sending emails that work with your mail on Gmail. For sales professionals, start-ups and agencies. Linkedin – Social network for professionals. BuiltWith – This effective service determines how the website is structured. Notify – Find all the mentions of your startup on Twitter, Facebook, Instagram, Youtube, Google+, Reddit, Medium, Hacker News, and also on various blogs, news, and forums. Sumo Me is a set of free tools to increase the amount of traffic on your website. Tools from SumoMe show excellent results on any website. Easy installation. Hello Bar – With Hello Bar, you can increase the conversion of visitors to customers. Visual Ping is the easiest to use program that monitors and detects changes on a web page and notifies the user about these changes. Marketing Grader – Website Grader is a free online tool that assesses your website for key parameters such as efficiency, mobile device compatibility, SEO, and security. Mautic offers a free, publicly available program to automate marketing. Google Trends – Read the latest trends, data and visual imagery from Google. Find out what is now in the trend in your industry! Sumo Me List Builder – Extend the list of your subscribers with List Builder. List Builder converts one-time visitors to regular readers and subscribers. Sumo Me Scroll Box offers a non-aggressive method of increasing the number of your subscribers. Content Row – A content marketing tool from experts who know how to create first-class content that boosts conversion. HubSpot Title Generator – Type in words (preferably nouns) that you would like to write about, and this tool will offer you a list of interesting titles for your future posts. Portent – Idea generator for your content. Co Schedule Headline Analyzer – Use proven data to create better headlines. Make sure that you balance the popular, rare and emotional words. Sumo Me Headline Generator – Do you doubt the title for your next post? Automatic headers generator is ready to help you! Hemingway App gives your texts clarity and clarity. The application detects long, overloaded sentences, and common errors. Blogging.com – In this guide, you’ll learn how to get your blog noticed by writing quality posts that can turn visitors into loyal readers or customers. Medium – With this service, you can read, write and interact with important texts for you. Slideshare – Explore the world’s largest community for the exchange of professional content. ZenPen – A compact text editor that unobtrusively helps you write down your texts. Storywars – Different approaches to the collective writing of texts. AmInstitute – This free tool analyzes headlines for determining its emotional coloring (EMV). EggTimer – Simple timer with the countdown. Set the time and save it for reuse. WriteRack – Have you accumulated a lot of thoughts? With WriteRack, you can write a series of tweets with a total size of more than 140 characters. Spruce turns your words into beautiful images that you can share on Twitter in seconds. This is the fastest and easiest way to create images for social networks. Disqus offers the best tools to increase the involvement of visitors on your website. We help webmasters to maintain and maintain discussions online. Paper.li – Collect the content that is in the best interest of your customers and provide it to them. Share content on social networks in automatic mode. Grammarly – A tool for proofreading text that will test your text for grammar, punctuation, style matching. Check spelling and analysis of plagiarism. Buzzstream is an online program that helps leading marketers to promote their products, services, and content to establish contacts, attract attention and grow their business. Plagium – Analysis of plagiarism. Blubrry – Hosting for podcasts, statistics, hosting on WordPress, PowerPress plugin, the world’s largest podcast directory and much more. Garage Band – New look and new options. GarageBand is the easiest way to create first-class songs on your Mac. Jahshaka – Jahshaka unites the publicly available virtual reality, media management, playback, editing, compositing and special effects. iMovie – With iMovie for iOS and iMovie for macOS, you can easily turn your photos and video clips into great movies and trailers, and share your creations with the world. Ardor – Multichannel digital audio recording station. Simple VoiceBox – Evaluate the advantages of Simple VoiceBox voicemail. Writer Duet is a modern, professional program for writing scripts with the possibility of teamwork in real time. Podomatic – A collection of the best mixes on the planet – DJs, performers, enlighteners, etc. TalkShoe is a website for live and recorded voice content created by users. Users can organize and join content discussion groups, talk shows on the radio and conversations. Vozme is an online tool that offers text-to-speech applications and services. Biteable – With the program for creating videos and animations on Biteable.com, you can create videos for free. Create presentations selling videos, infographics, commercials, introductory screensavers (intro) and much more. Animaker is an online program for self-production of animated videos, with which studio quality becomes available to everyone. Animatron – Create interesting animation clips for your business or educational project. Sell video clips, animated marketing videos, educational videos. Renderforest is a free program for creating slideshows and animated videos. Slideshow, advertising and selling videos, animations for logos. Youtube – Watch your favorite videos, listen to music, download original content and share it with your friends, family and the world on YouTube. Wistia provides professional video hosting services with user analytics, HD quality and marketing tools to help you better understand your visitors. Vimeo – Join the most friendly community of video content authors and get access to first-class tools for hosting, sharing and broadcasting videos in HD and 4K without ads. Pocket – If you find the materials you want to see later, you can save them in Pocket. Feedly – Organize, read and share what is important to you. Flipboard is your personal journal that will allow you to keep up to date with important news for you. Protopage – RSS-aggregator, awarded a number of awards. Conspire – Conspire will tell you how to find an approach to any person, whether it be a client, an employer or an investor. CharlieApp scans hundreds of sources and provides you with a brief overview of each person you are about to meet. Onalytica – Find influential people with your content. HARO offers journalists an extensive source base for their future reports. Sources that deserve wide coverage in the media. Submit.co – How to tell the press about a startup. Source Bootle – A free online service that brings together journalists and potential news sources. Onlineprnews – Distribution of press releases for SEO and social networks. Use the OPN service to create online press releases and provide wide coverage in the media. Newswire – Our tools in the field of news distribution, targeting, monitoring, and marketing will help you to work with the target audience around the world. Pr Inside – Create press releases. Pr.com – Search for companies, products, services, vacancies. Profiles of companies, distribution of press releases and published articles. Prlog.org – Free service for distribution of press releases. JustReachOut – We will help you attract the attention of journalists and make daily publications without the help of PR agencies. MailChimp provides email marketing services to more than 14 million people worldwide. Send professionally composed emails, connect your online store and increase your sales. Email Octopus – Connect your account to Amazon SES – and it will be much cheaper to work with subscribers. Effective analytics, tracking of failures/complaints and much more. Inbox Inspector – Preview e-mails in more than 20 popular email clients for fixed and mobile devices. MotionMailApp offers free timers with a reverse report for your email. By improving the quality of your marketing letters, you will increase your audience’s engagement, conversion, and sales. Email Designer – Bring your emails to a single style. Send Pulse – An integrated service for managing email marketing campaigns and web push notifications. Create and send newsletters. Sendgrid – Sending business and marketing emails through one reliable platform. Main lift – A service for creating handwritten letters for sales and marketing. Increase your sales using handwritten letters! Senderbase – The world’s largest network for monitoring e-mails and web traffic. Senderscore – Find out the reputation of your email address (sender’s rating). Reputation Authority – WatchGuard offers effective network protection technologies and VPN for small and medium businesses. Barracuda Central – Check the reputation of your IP address. Trusted Source – McAfee offers an online tool that you can use to verify whether a particular website is included in different versions of the SmartFilter Internet Database or Webwasher URL Filter Database. Emailonacid – The electronic box on Acid offers tools for email testing and email marketing to improve the effectiveness of your campaigns. Spam check – You wanted to check incoming or outgoing emails for spam, but did not want to contact Spam Assassin? Then this tool is just what you need. Mailtester – Online tool for testing e-mail addresses. Find out if your address is valid, why it does not receive mail and what mail server it belongs to. HTML Mail Designs – Great emails that inspire you to future masterpieces. Great Email Copy – Professionally composed emails from the entire worldwide network. Funny project from Customer.io. Really Good Emails – The best emails in the universe (which came to my inbox). Rival Explorer – With Rival Explorer you can explore the marketing program of any brand. Beetle Email – Read emails from your competitors, peek at ideas for design and analyze statistics. Beetle offers more than one million emails. Email on Deck – Free and fast emails in 2 easy steps. Send Check It – Clear your marketing letters from broken links, missing images, and other compromising flaws. Subject Line – More than 4 million tested topics. Check the subject of your email. Subject Line Checker by Adestra – This tool defines keywords that can increase or, conversely, reduce the success of your letter. Buffer – With Buffer to share any page that you read, it’s easy. Add interesting pages to the Buffer, and we will automatically share them all day. Hootsuite – Increase the efficiency of managing your social networks with HootSuite. Manage multiple pages on social networks and profiles, measure their effectiveness. MySocial Gram – Manage multiple profiles in Instagram from your computer. Guuu is a manually managed platform that connects to your profile in Buffer and offers you relevant content. A great way to increase the number of subscribers in social networks. Bit.ly – Do you want to maximize the return on your work with social networks and online marketing? Track the links that you share online! Social Oomph – Increase the effectiveness of your pages in social networks. Social Crawlytics – Find out what content is authoritative for you people and your competitors are the most popular. Picstats – an Analytical Tool for Instagram. Sharetally is a free tool that offers you data from hundreds of different social networks. Snip.ly – adds your individual “calls to action” to each of your pages, allowing you to increase the involvement of the followers. Reddit later – Later (for Reddit) allows you to define the time of publication of your posts on Reddit so that they see as many people as possible. Likable Hub – Now it’s easier and faster to manage pages on social networks. Mav Social – Managing visual content from one platform has never been so easy! Store, manage and publish images and videos on 6 social networks + get visual analytics. RaffleCopter offers you the easiest way to organize a free online rally. Organize and run your raffle in just a few minutes! Coding skills and knowledge of IT are not required. Timing – This service tells you the best time to publish your posts on Google+ to reach the greatest coverage. Later – With Later, planning the marketing of visual content is surprisingly simple. SharedCount – Track URL sharing, likes, tweets and more. Social Rank – The easiest way to identify, organize and manage followers on Twitter and Instagram. Klout helps people who want to succeed in social networks. Join today to start sharing original content and measure your reach. Crowdriff – Search, organize, publish and optimize the best user visual content. Filament is an effective tool with extensive customization capabilities that allow your visitors to share content more efficiently. Addthis – offers buttons for sharing, tools for targeting and recommendations for working with content. More likes and followers! Buffer Respond – Most social networking tools are for marketing, not customer service. Respond will help you coordinate the work of your support team. Followerwonk will help you build the potential of your profile on social networks. Study your analytics on Twitter: who are your followers and where are they from? Co Schedule – This tool will help your readers to share your content. Google Alerts – Track new interesting content on the network. Slacksocial is a free tool for centralized management of profiles in social networks. Riffle – All about your Twitter profile, wherever you are! Circular – A public application from Buffer. Content Gems is looking for the best content for you, perusing thousands of articles from the best sources every day. Juxtapost – Quick, free and easy way to bookmark images, then forget nothing! Storify – Create stories using social networks. Turn your posts into social networks into exciting stories. Collect and publish the best photos, videos, tweets and much more. Triberr is a community of talented bloggers and authoritative persons, where first-class content is read and discuss. ELink is a universal tool for content marketing. Check and publish your mailing list and web pages in minutes. Increase your audience and its involvement. Pearltrees is a great place to organize all your interests. Open new and share everything that you like! List.ly – Top 10 lists compiled by the blog list community and List webmasters. Create interesting lists and article lists on Listly, share them on Facebook and Twitter. Rebel Mouse – The leading platform for publishing content. A quick way to increase the audience. Thinglink – Among similar services ThingLink stands out because it offers a wide range of effective tools that will make your content more visible. Diigo is an effective research tool and a community for sharing knowledge. Scoop.it – Create and build your presence on the web by publishing proven content. Del.ico.us – Save, share and find all the best on the web with Delicious, the leading service for creating bookmarks on social networks. HeadSlinger – Coverage of all news is twice as fast. View the headlines of your favorite sites in seconds. Save your favorite news sources in convenient folders. Addict O Matic – Breathe the net. Addictomatic searches for you the best sites where all the most popular and interesting is published. Curation Soft displays the content management to a new level. Proven tools for content management will help you increase the credibility of your brand. Open Site Explorer will open up new opportunities for you to create links. Check backlinks, define start pages, view user activity, analyze anchor text. Yoast Extension – When you open a link, this useful tool determines the authority of the page, anchor text, and the presence of the no-follow attribute. Alexa provides analytical information for comparison and optimization of Internet projects. Keyword tool.io – The best free alternative to Google Keyword Tool for selecting keywords! More than 750 long-tailed keywords from Google Suggest in a matter of seconds. Google PageSpeed Insights – PageSpeed tools to analyze and optimize your site using the best methods. Moz Keyword Explorer – A reliable tool for finding and ranking the best keywords. Screaming Frog – Screaming Frog SEO Spider is a computer program (for PC or Mac) that indexes link to websites, images, CSS, scripts, and applications to achieve SEO goals. Majestic SEO – Link analysis tools to achieve the goals of SEO, PR, and marketing. Site Explorer allows you to explore the domain / URL in detail and get a summary of the main page of the domain. Quicksprout website analyzer – Develop your website. With Quick Sprout, you will know what is happening on your website and how to increase the amount of traffic. SERPs rank checker – International and local keyword ratings. Check the rating of keywords in Google or Yahoo, using more than 100 combinations of the country and language. SEO site checkup – With our free SEO tools you can instantly check the correctness of the search engine optimization of your page. Moreover, we will give you valuable recommendations. Search Metrics is the world leader in the field of SEO-marketing, SEO-optimization, marketing in social networks and content marketing. Copyscape is a free tool for identifying plagiarism. The program detects duplicate content and checks your articles for originality. AHrefs is a set of tools for SEO and marketing. Includes tools for working with backlinks, natural traffic, keywords, content marketing, etc. RankTank – Free SEO tools. Use them and even create new tools based on them. SEO Tools for Excel – Excel plugin for online marketing purposes. Create SEO reports and dashboards. More than 100 functions to bring your company to the top! Open Link Profiler – 200 000 fresh links to each site. Get a detailed analysis of existing backlinks. Loves data – A selection of the best SEO-reports. Small SEO Tools – Absolutely free SEO tools for checking content, fixing content, placing keywords, pinging. Sitemap Generator – Website map generator that creates variants in XML and HTML. Use for free for 500 pages or buy a script for unlimited use. Google Search Console – Check the search performance of your website with Google Search Console. Support your website, training materials and the latest news from Google Webmasters. Bing Webmaster Tools – Improve the search performance of your website. Get access to free reports, tools, and resources. GT Metrix is a free tool that analyzes the speed of loading pages of your website. Using PageSpeed and YSlow, GTmetrix calculates the download speed of your pages. Moz Bar – The universal panel of SEO tools. Domain Hunter Plus is a handy extension for Chrome that allows a user to quickly browse the web for broken links. Linkio is like the love child of Ahrefs and an SEO expert. It is designed to give SEOs the right anchor text to build next, by using insightful data to help you make better-informed decisions. It’s flexible, automated and remarkably easy to use. Adwords Editor is a free application from Google to manage advertising campaigns. Bing Ads Editor – Save time and increase the effectiveness of search engine marketing campaigns. Wordstream Adwords Performance Grader – Get a free, instant report on the performance of your Google AdWords account with AdWords Performance Grader. Free PPC-audit in less than 1 minute! Mozcast – MozCast shows changes in the Google algorithm for the previous day in the form of a weather report. The hotter and windier, the more ratings have changed. Serpmetrics – SERPmetrics allows you to track the effectiveness of your search campaign to see which methods work and which ones do not. Algoroo – Will tell you how the ranking positions of websites have changed. Serp Watch – Track changes in the results of the local search engine. Serposcope – is a free, publicly available tool for determining the ranking positions of websites and improving your SEO-indicators. Serplab – Now you can quickly and accurately track the ratings of keywords in the search engines. Serpstat – Reliable and effective tool for analyzing backlinks, tracking ratings, analyzing keywords, analyzing competitors and auditing websites. KW Finder – Five hundred hidden, SEO-effective keywords in a matter of seconds. KW Finder is the best tool for keyword analysis. Rankbrain – Keyword Tool offers hundreds of unique long-tail keywords. Sistrix – SISTRIX is a set of proven tools used by SEO professionals. The data you need from people you trust. Soolve – Search queries in the leading search engines. Easy to use, fast and effective tool. Select the search engine with the right arrow. You do not even need to type! Wordstream – With our free tools and the “20-minute workweek” model, you can create, optimize and measure high-performance paid search engine optimization campaigns and campaigns in social networks. Ubersuggest.io will tell you ideas for keywords that you will not find in Google Keyword Planner. Small Business Calculator – Use our calculators, created specifically for small businesses, to evaluate your business and identify promising areas for its further development. Bing Ad Intelligence is an effective keyword analysis tool that allows you to create and expand keyword lists using the old-fashioned Microsoft Office Excel. Google Keyword Planner – Start by searching for words or phrases related to your products or services. Keyword Planner finds keywords that perfectly describe your business. Fuzzy – Fuzzy.ai turns your knowledge and intuitive expectations about your business into an automatically improved algorithm. Wit.ai – Create text or voice bot, with which people can communicate in their favorite messenger. Spotify is a music online platform with millions of songs. SoundCloud is an audio platform on which you can listen to your favorite songs and share your musical creations. Grooveshark – Listen to any music online for free. Free radio stations on the Internet. Pandora is a free, personalized radio that offers your favorite music. Open up new horizons and enjoy old hits. Last.fm – Online catalog with free music listening, videos, photos, lyrics, charts, biographies of performers, concerts and internet radio. Product Hunt – Expand your horizons, find new interesting things. BetaList offers an overview of start-ups on the Internet. Look to the future first! Skillshare – Develop your creativity with free online classes and projects. Khan Academy – Free, high-quality education for all. Coursera – Free online courses from 80+ of the world’s leading universities and organizations. Startup Notes – Startup School invites founders of legendary companies to share their success story. The How – Learn from entrepreneurs. Launch This Year – A guide that will help you take the first steps in online business. Closed Club – Review the list of close-up startups and find out why they failed. Startup Talks – A curated collection of videos about startups. Rocketship.fm – Learn from successful entrepreneurs every week. ReSRC.io – Free resources for teaching programming. Freecode Camp – Learn to code and create projects for non-profit organizations. Create a portfolio in the field of integrated development of web applications today. Moz Whiteboard Friday – Weekly webinar from Rand Fishkin (“The Sorcerer of the Country of Moz”). It turned out to be even more than 500. I probably missed something, but overall it’s not bad. If you know other useful resources, write the names in the comments and we will add them to the list!